With over $500 million in worldwide earnings, Disney's 1992 hit Aladdin is the second highest grossing film of their Renaissance era, only behind The Lion King. 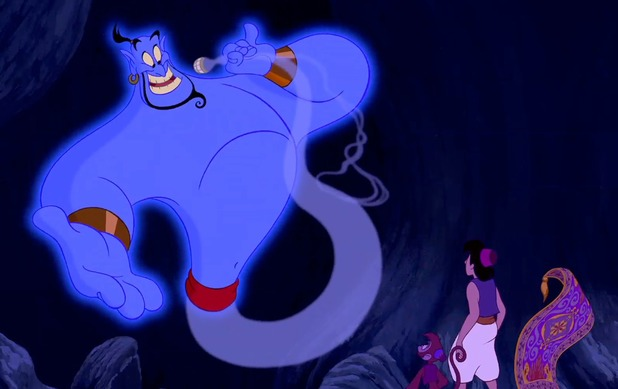 Whilst Disney's incredible reputation at the time of course drove it to such success, one of the key factors was, of course, the late Robin Williams' performance as the Genie. Jafar's snake staff has the ability to manipulate the actions of others, which begs the question as to why he even needed the Genie to make him ruler of Agrabah. Perhaps he could've persuaded the Sultan to crown him the new ruler, or kill himself? Or hell, even have Aladdin do the same? Without any explanation of the limitations of the staff, it seems rather bizarre that using it for his plan never crossed his mind. Jafar requires the mystic blue diamond on the Sultan's family ring to locate the true person worthy to enter the Cave of Wonders. It would've been nice to know why, but okay. Aladdin wishes for Genie to make him a Prince, and whilst Genie manages to grant him this wish by creating a handsome outfit and hosting a parade in his honour, his magic never seemed to extend into creating a backstory for Prince Ali and rewriting history to actually make Aladdin a Prince, not just dress him up as one. When Jasmine rebuffs Aladdin's affections, it just seems as if the Genie did nothing but give Aladdin some clothes and expected it to fool everyone with ease. This error extends even further when the Genie offers Aladdin the chance to be a Prince again by using his final wish at the end of the film. So, what exactly happens if he proceeds with such a wish? Does he just get a new set of clothes? Surely history would need to completely rewritten to remove the issue of him being exposed as a fake Prince, which would generate so many issues with time travel and conflicting events that it hurts my brain to think of it. Thank god it never happened. 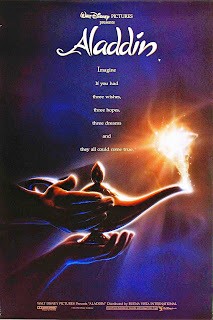 Jafar wishes for the Genie to make him the new Sultan - which apparently translates to uprooting the city of Agrabah amongst a vicious thunderstorm and placing it onto a neighbouring mountain, and then giving Jafar some second hand clothes. Makes sense to me. Jafar has numerous chances to kill Aladdin with minimal hassle, but still seems frustrated when Aladdin never dies. During their final battle, Jafar uses his magic to turn monkeys into toys, turn tigers into kittens, unravel carpets, and make dreadful puns. He breathes fire around Aladdin, but none at him to reduce him to ash, and even hurls a bunch of swords at Aladdin, all of which miss and basically just give Aladdin a weapon to fight with. Finally, when Jafar takes the form of a giant cobra, he still gives up the chance of crushing Aladdin in favour of tormenting him with generic villain dialogue. He was just asking to be defeated, basically. It's impressive enough that Aladdin managed to survive the impact of the palace tower crashing into a snowy mountain with no means of restraint or protection, but even more impressive that he doesn't begin to suffer hypothermia when barely clothed in an icy storm. At the end of the film, the Sultan dismisses the law of Jasmine having to marry a Prince and just changes it so that she can marry whoever she wants. So, when Jasmine clearly wasn't interested in being forced into a royal marriage, why didn't he just change it? In fact, if he has that much control over his nation's politics, why not just cancel the law so she doesn't have to marry anyone? Some supreme leader, eh? Aladdin basically steals to survive, and even wishes he could be rich and famous within the palace. So, why is the Cave of Wonders so adamant that he is the only person worthy to enter amongst all the treasure, as if it trusts him not to pinch any?